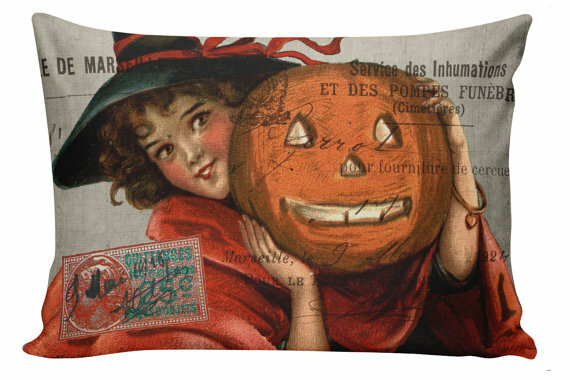 Every year when we start slowly creeping into the spooky season, I rush over to see what new autumn and Halloween themed pillows are on offer at Elliott Heath Designs on Etsy. 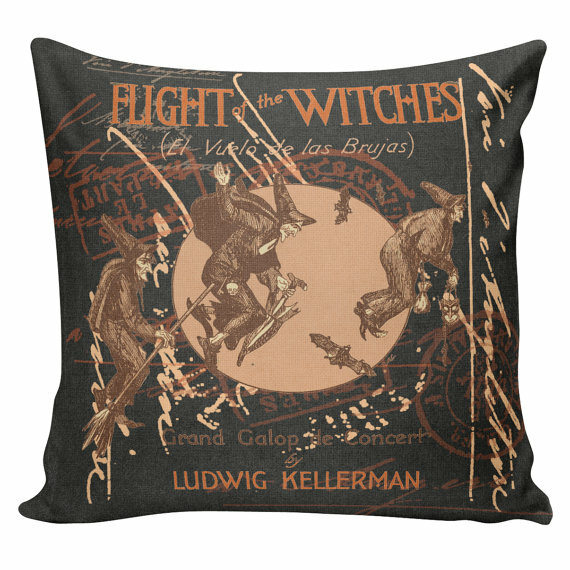 Here's the vintage witch pillow I prefer. They look so wonderfully bitchy and cranky! 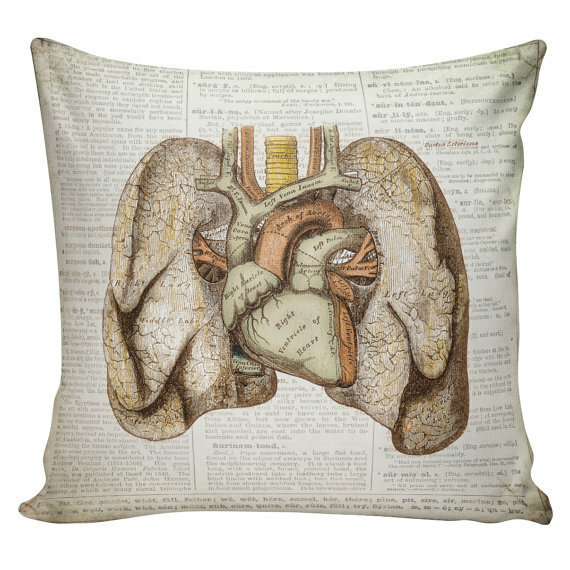 If your Halloween home decor tends to the more macabre or you have your living room set up like a Victorian anatomist's workshop, here's a nice vintage style Anatomical lungs pillow. 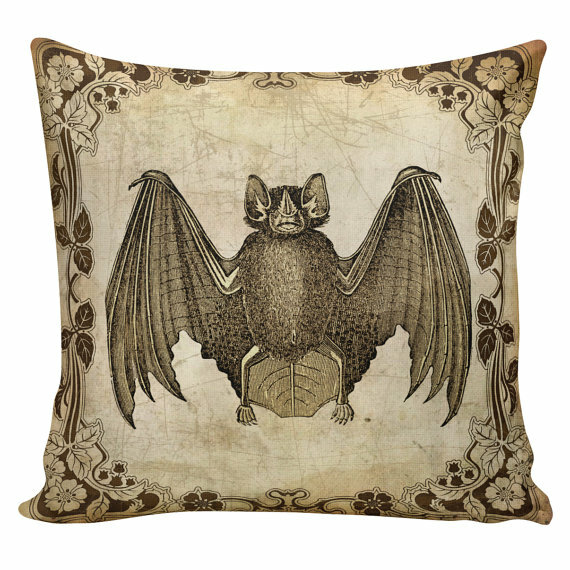 Goths and Halloween fanatics alike will love this vintage Victorian bat pillow. 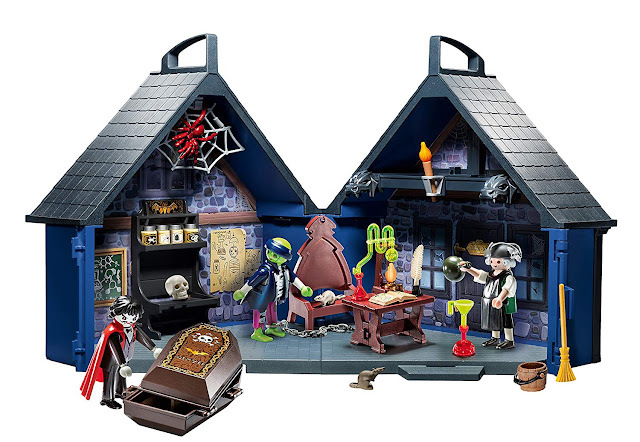 It simultaneously looks cute and creepy. 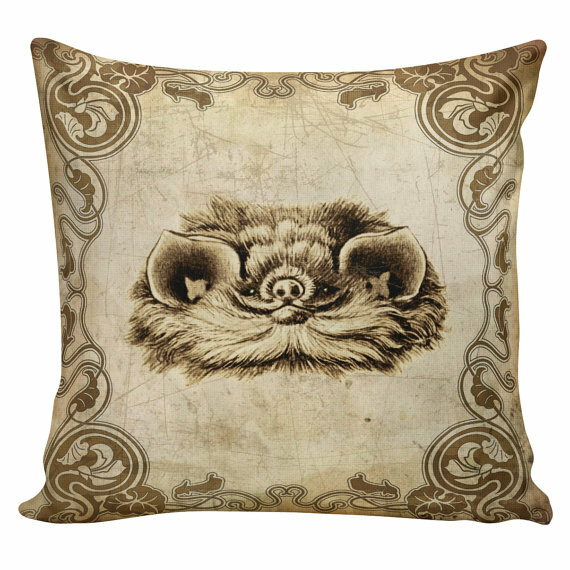 Here's a full-body Victorian bat image on this pillow. 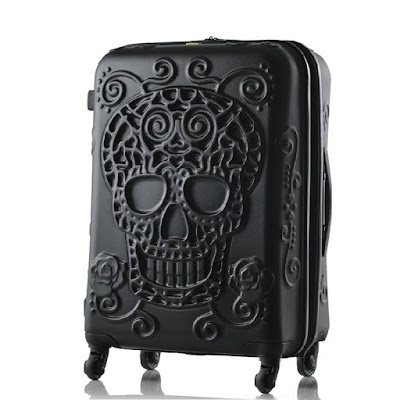 Strangely, to me it looks very elegant. 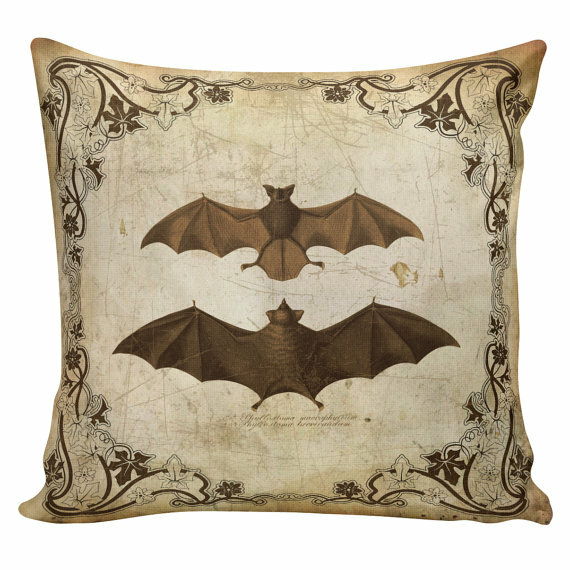 My favorite, however, is this vintage Victorian pair of bats pillow. Love the leaf motif around the edges! This vintage skull poison bottle label pillow might be perfect in your breakfast nook or dining room, if you have overstuffed chairs or some sort of seating that lends itself to pillows. 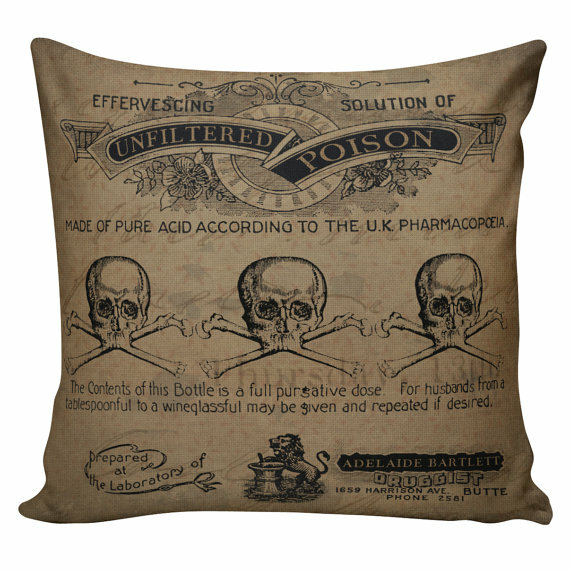 I just think it would be hilarious to have this poison themed pillow quietly nearby while you are serving or ingesting food! They currently have just a handful of pillows in their Fall section as well, but it might be worth your time to take a quick look!